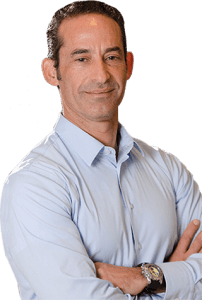 Richard Koffler MD is a Physiatrist, a physician that specializes in Physical Medicine & Rehabilitation. After graduating from the Sackler School of Medicine at Tel Aviv University in 1993, Dr. Koffler completed a one-year internship in Internal Medicine at Roosevelt Hospital in New York City, followed by a 3-year residency in Physical Medicine and Rehabilitation at the Rusk Institute at the NYU Medical Center in New York City. He was board certified in 1998. He received training in acupuncture by the Helms course thru UCLA in 1999 and is certified to perform acupuncture. Since finishing residency, Dr. Koffler has been seeing patients on an outpatient basis. His practice incorporates integrating proven conventional western medicine with eastern practices, as well as other proven complementary approaches to musculoskeletal injuries/diseases, peripheral neurological related issues, as well as pain management. Currently, Dr. Koffler is the Medical Director in practices in NYC, Stamford CT, and more recently in Miami Beach, FL. For the last four years, Dr. Koffler has been studying biochemistry, and therapeutic applications of Marijuana. He places an emphasis on following quality research, and also acknowledges the anecdotal evidence of relief that exists, which is too strong to ignore. He believes Medical Marijuana has a broad spectrum of therapeutic value in multiple conditions/diseases with a more acceptable side effect profile than most modern pharmaceuticals. As a certified doctor to recommend Medical Marijuana in all three states that he practices medicine in he has been successfully recommending the appropriate application of it with patients with a variety of conditions.